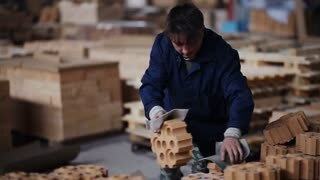 A woman working at the plant packs polyethylene refractory bricks. 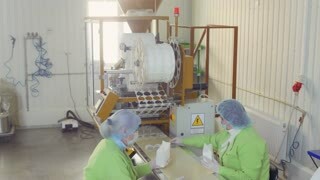 Work on the factory floor packs products. 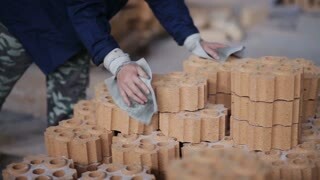 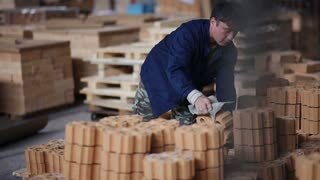 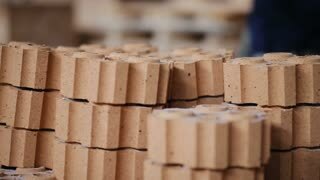 factory workers adds refractory bricks for further packaging.